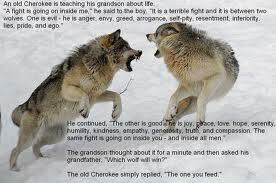 UKSpirituality: The Light of Hope: Which Wolf Wins? I can only imagine what it must be like to experience utter darkness. I was only a baby during the power cuts of the early 1970’s and therefore have no memory of them. 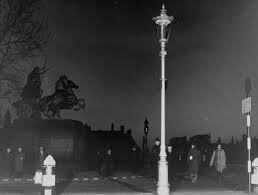 And like most folk of my generation I have seen the images and been told the stories of the war time blackouts, but still I cannot really imagine what it must have been like walking those dark streets. The lights did go out in my home for a short time last year and I have to say I found it very difficult negotiating my way around the house, without anything to guide my way. It’s pretty scary trying to find your way in the dark. No one likes to feel helpless, hopeless sightless. When we stumble around “in a land of darkness” we cannot protect ourselves and just end up stumbling around our own homes stubbing our toes or falling over furniture. That said it is not only material darkness that can cause us problems, we can also get lost in those metaphorical dark forests of life. This can be terrifying. The book of life is full of stories describing children getting lost in the woods. Those fairy tales explore universal themes that everyone can relate to. After all don't we all feel lost and or confused at times. When we fall into one of life’s black holes we can lose all hope. In this pit we can begin to compromise the very values that we are trying to live by. In this darkness we can lose our dreams and our goals we can forget the path we are on and why we have chosen it. 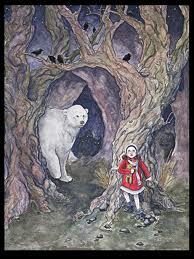 We can also lose sight of our security and supportive community as we search in the dark unaware of the many pitfalls. Sometimes we drive people away with our fear or perhaps they just walk away because they cannot stand our pain. Perhaps there is another way, a way out. Even in the deepest darkness light can be found; the light of hope, which can show us a new way. This light cannot be resisted it is constantly revealing itself as life continues its re-birth. Isn't this what the season of Advent is all about, the preparation for the coming of the light. Children bring that light into so many people’s lives. And of course it is the image of a child on which Advent and Christmas rest. 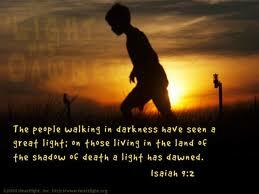 The coming of Immanuel the child sent to rescue the people of Israel from their darkness. I don’t accept this stories uniqueness; I do not believe that this is once in humanity’s life span thing. Sophia Lyon Fahs is so right when she says “Every Night a Child is Born is a Holy Night.” The potential of every child brings hope; no one can remain completely lost if they can just glimpse this hope. There is that of God in each and every one of us. We all have the potential for great things, if we just nurture that loving compassion within us; we just need a little bit of hope and a sprinkling of faith to show us the way; we just need appropriate nurture. We know this from our own lives and we know it from the lives of those that have walked in the light before us. Even in our darkest hours there is a hidden strength that can be found, often from an unexpected source. All that we have to do is to let that light shine in and through us. Advent is a time of anticipation and as long as we hope, someone will light a candle against the prevailing darkness "and neither the winds of hate nor the gales of evil will extinguish it.” This light is universal and it is eternal. The light of Universalism continues to speak powerfully to me. The concept of one light and many windows that my great hero Forrest Church spoke so beautifully about, keeps me humble and therefore open. I accept that I will never know the absolute truth about everything or even anything and that this enables me to experience life in a way I could never have imagined. 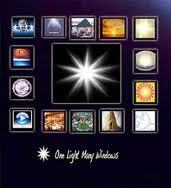 The one light of God or truth is reflected through a variety of windows, which none of us can see directly or perfectly. Universalism’s message of hope, of the everlasting love of God, also speaks to me. It brings Psalm 139 powerfully to the fore of my thinking, nothing and no one is beyond the reach of this eternal love. The dark and the light are both the same to this eternal love. We cannot escape it completely; we cannot flee from the range and reach of this eternal and universal love. It is so easy to look at our world and just despair and give in and say we are doomed and lost in our own darkness. It is so easy to see life this way. Is this true though are we lost in despair? Is there no hope? Tom Owen-Towle’s “The Gospel of Universalism: Hope, Courage and the Love of God” has helped me to understand that hope and despair share the same root, that they are joined together like Siamese twins. 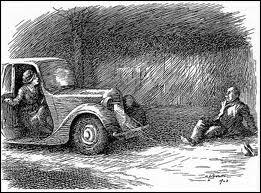 In the French language they share the same linguistic root; hope (espair) and despair (desespair). To live in hope, to live in faith that we all have that light etched into our DNA, is not to deny life’s difficulties and pain. Instead it is to see the realities of who and what we are and what our true potential can be, if we just nurture it correctly. All we have to do is let that light shine that is there within us all. This sounds simple, but it is far from easy. It requires consistent effort to allow that natural compassion to grow, develop and nurture. We have to do it though because otherwise the other parts of ourselves take over and we turn with indifference from life. The opposite of hope is not despair, it is indifference. I have written many times about the work of Karen Armstrong, the Charter for Compassion and her book “12 Steps to a Compassionate Life”. Her central theme is this concept of nurturing our compassionate natures; that this nurture of compassion is a universal theme central to all the great religious traditions throughout human history. This is a message of hope and it is an eternal and universal theme. Hope springs eternal all we have to do is to begin to let our little lights shine. 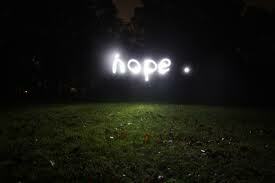 Isn't this what Advent is all about, the illumination of hope. I will end this little chip of a blog with a story I have shared here before. I do love the tale and I believe it is worth repeating.